Sharable notes for the October 22, 2017 message. You can post these notes on your social platform! The church must continue to rise up in love, truth, and power and see a reformation ofhearts! One of the greatest legacies of the Protestant Reformation was putting the Word of God into the hands of everybody. The gospel of Jesus breaks down classism. We are all one in Christ. The Protestant Reformation began because a man actually read the Bible, lived its truth, and shared its truth. This still happens today! Scripture only reveals that Jesus only is the way of eternal life. This comes by Faith only. The love of Jesus can change a human heart. Read God's word, live God's word, and through God's word you can change the world. 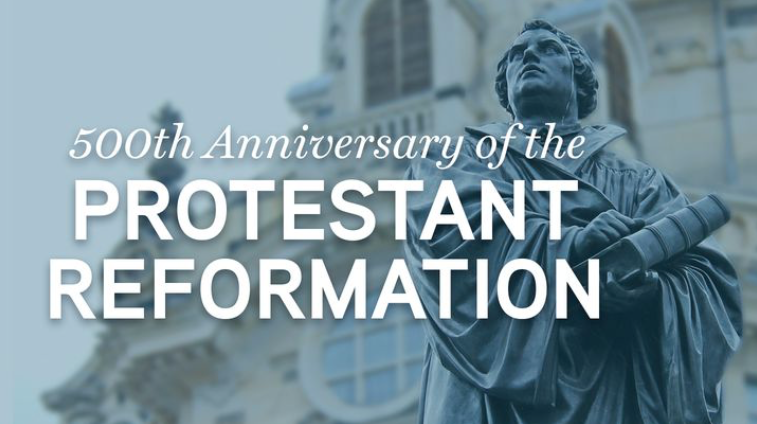 Celebrate the 500th Anniversary of the Protestant Reformation with this 10-day reading plan from Museum of the Bible! Join us to learn about the history of the Reformation and the individuals who played a vital role in getting the Bible in the hands of ordinary people.